Recently, the Antal Bejczy Center for Intelligent Robotics (ABC-IROB) participated in numerous international conferences and competitions, proving their professional competence and winning several awards. For the 14th time this year, the IEEE International Symposium on Applied Machine Intelligence and Informatics (SAMI 2016) was organized in Herl’any, Slovakia. 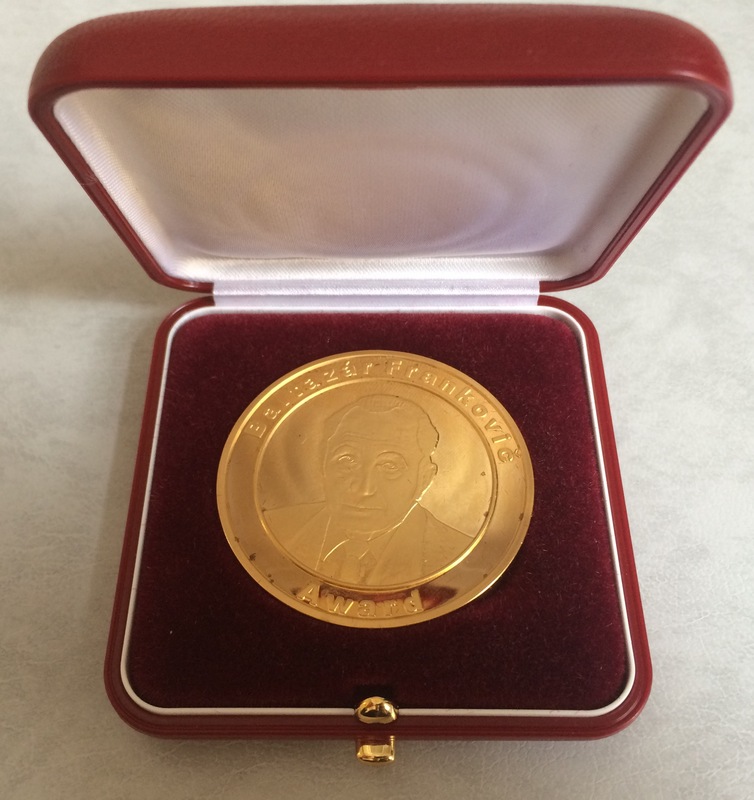 Árpád Takács, a PhD student from IROB won the Baltazár Frankovič award for best student paper for his article on soft tissue modelling for surgical robotics. 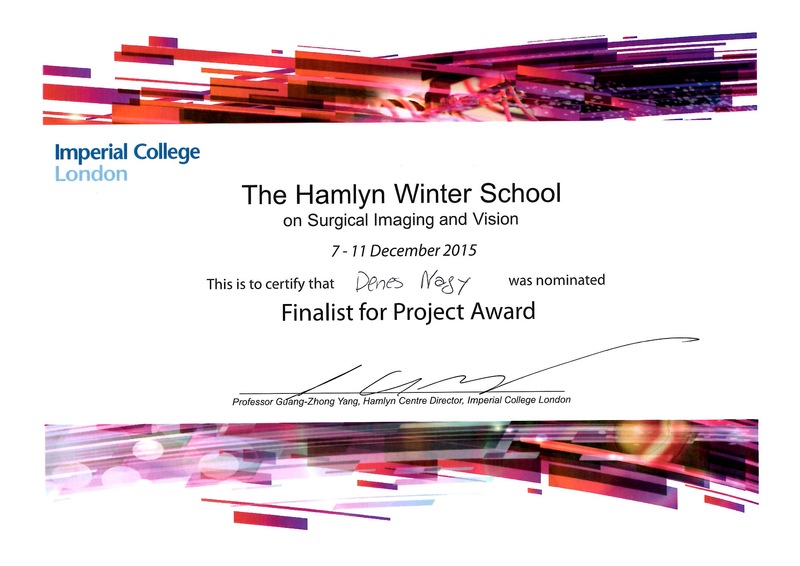 Dénes Ákos Nagy (PhD student at IROB) participated at the Hamlyn Winter School on Surgical Imaging and Vision organized at Imperial College, London, and won the first runner up prize for their automatic ultrasound handling project. 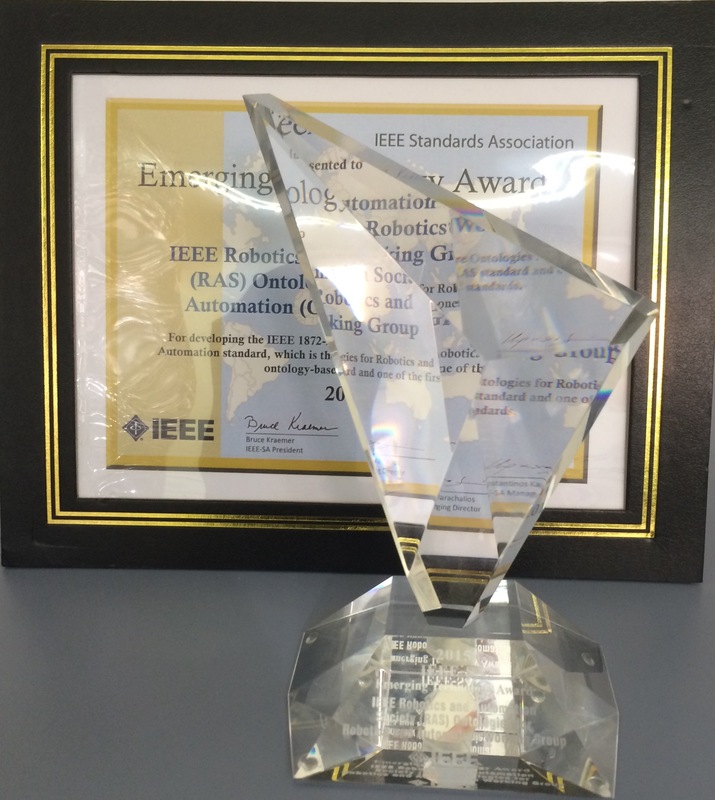 The IEEE Standardization Association gave the Emerging Technology Award 2015 to the IEEE RAS Standardization Committee. one of the members of this committee is Tamás Haidegger, deputy director of IROB. As a result of their efforts in the past years, the committee published the first IEEE robotics standard (1872-2015 - IEEE Standard Ontologies for Robotics and Automation) in 2015. The committee has not stopped there, they are working on the next generation of robotics ontology standards.